Read the English language article here in Arctic Today, the Danish article in Weekendavisen and the Norwegian High North News. 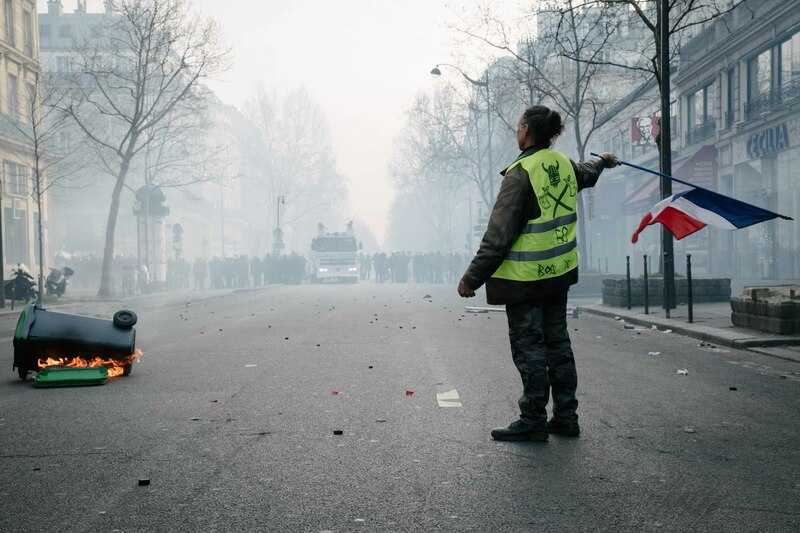 Photo: A “yellow vest” protestor waves a French flag in Paris. Florent Julliard / Panoramic via Reuters.